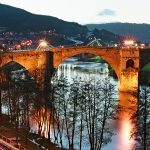 For long stays, the city of Ourense is a perfect launch to discover the province of Ourense, its lush landscapes, its wine tradition, its history and its immense heritage, since here is concentrated the largest catalogue of Romanesque art in the Iberian Peninsula . Here you will find a series of proposals that deserve a short trip: in your own car or using public transport, all are within a radius of only 30 kilometres. The Ribeira Sacra is the area north of the province around the banks of rivers Sil and Minho, known for its impressive natural wealth and heritage. 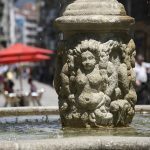 Its name (meaning “Holy Riverbank”) comes from the Middle Ages, and has its origin in the number of monasteries that had been built in it, among which are San Esteban de Ribas de Sil (recently converted into a parador), San Pedro de Rocas and Santa Cristina de Ribas de Sil. There is much to see, but above all you must visit river Sil’s canyons: from their viewpoints you can admire the spectacular landscape, and from a catamaran sailing the river you will appreciate their sheer monumentality. 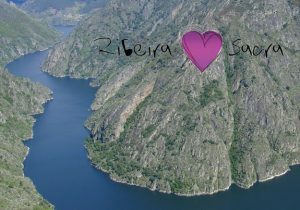 The Ribeira Sacra is also known for the quality of its wines; the vineyards, dating back to Roman times, are arranged in a system of stone terraces that follow the course of the river. 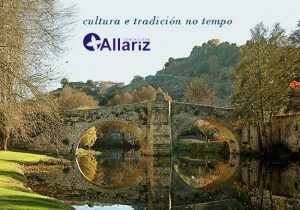 Allariz is a perfect example of an inland Galician village; a harmonious set of streets, squares and traditional buildings whose model of heritage recovery and urban planning in recent years has been highly prized and recognized. In the remains of its medieval castle on the hill you can sense its splendour in the time of the Suebi (the village owes its name to King Alaric). It is a pleasure to stroll along the banks of river Arnoia, completely restored. Essential visits are the convent of Santa Clara (with baroque cloister), the Romanesque church of Santiago and on the outskirts, the eco-space of O Rexo and Santa Marina de Aguas Santas. 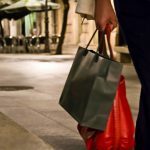 Nor should you miss its traditional museums or its shopping area, where there are several outlets with suggestive discounts and pastry shops with typical sweets such as almonds pies. 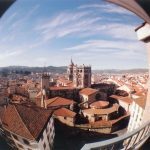 To Ribadavia, the capital of the Ribeiro area, you should go if only to discover the vineyards and taste the wine in the cellars. But in addition to this route of oenological interest, the centre of Ribadavia, declared of Cultural Interest, has a lot of charming stone corners, testimony to its glorious past: the impressive Jewish quarter, the Sarmiento castle, the walls, the convent of San Domingos and San Francisco along the bridge over river Avia, the pre-Romanesque chapel of San Xes de Francelos … Its Ethnological Museum is one of the most interesting in the province. 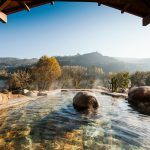 Not far away are the thermal baths of O Prexigueiro and the convent of San Clodio in Leiro. 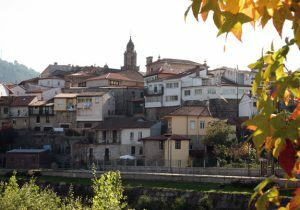 Celanova is a land of poets: Curros Enríquez, Celso Emilio Ferreiro, Castor Elices and Méndez Ferrín come from the village, and Curros’ birthplace is today the House of the Poets. In addition to this lyrical vigor, the main Celanovese pride is the Monastery of San Salvador, founded by San Rosendo in the 10th century, which has an impressive heritage: Baroque church, Mozarabic chapel, two cloisters and a Renaissance sacristy. 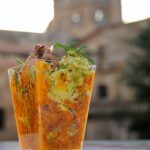 Near Celanova there are also places of interest, such as the Castromao Celtic settlement and the site of Vilanova dos Infantes, with a medieval tower and the sanctuary of the Virgin of the Crystal. 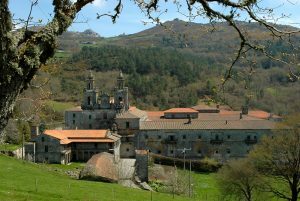 The existence of the Monastery of Santa Maria de Oseira is known since 1137. From a Benedictine foundation, it soon became the Order of the Cister, and had great economic and social importance for the area of Cea. Abandoned and plundered after Mendizábal’s ecclesiastical confiscation, its recovery process was recognized with the Europa Nostra Prize in 1989. The abbey church, of Romanesque style, is considered a summit of Iberian Cistercian architecture. In the chapter room stand out the original vault and the four central columns. In the old refectory you can visit the Stone Museum, a collection obtained during restorations and archaeological excavations.